I like to hack some of the lesser-known Game Boy and Game Boy Color games. I primarily hack the games in the Telefang series (mostly the first one), as well as all three Donkey Kong Land games (mostly DKL3). However, I may hack more Game Boy games in the future. 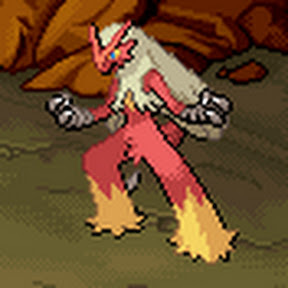 His username & associated avatar is based on a Pokken Tournament fighter Blaziken #257. He has contributed several commits, especially on the Donkey Kong handheld games at TCRF. He has uploaded many Let’s Play videos of Donkey Kong, Wario Land and Telefang on handheld devices at Youtube. DeviantArt, Glitch City Laboratories Forums (For Pokemon games), Twitch.